Under-barrel mounted 12 gauge shotgun with four round capacity, used in tandem with an assault rifle. 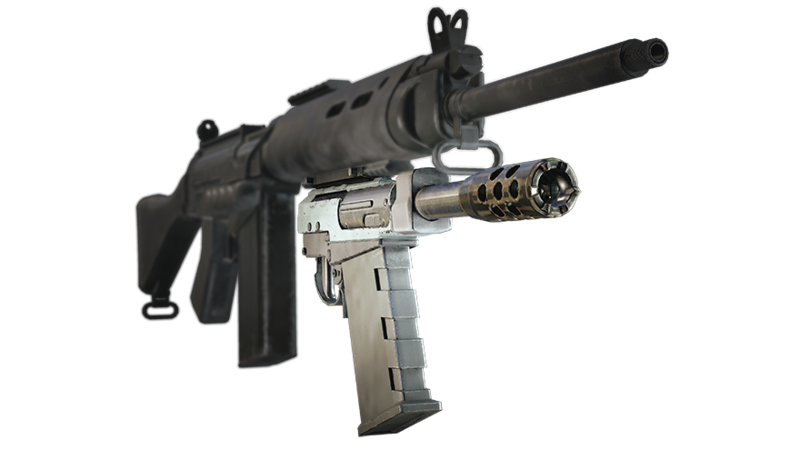 The Skeleton Key allows the operator to alternate between their standard issue assault rifle and a breaching shotgun with ease and efficiency. Born and Raised in Montreal, Sebastien Côté is a highly pragmatic person who enjoys simple mechanical devices over the high tech arsenal employed by other operators. The Skeleton Key, an under-barrel mounted 12 gauge shotgun, allows Côté to swiftly breach and target hostiles, by changing hand positions on his assault rifle.